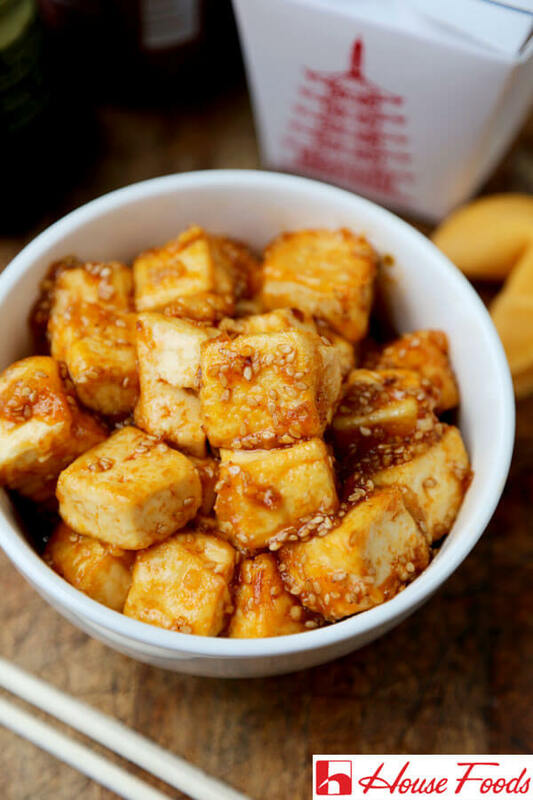 Spicy and sweet, these honey sriracha tofu cubes are crispy on the outside and silky on the inside. This is one of those healthy tofu recipes you can’t stop eating! Ready in 15 minutes from start to finish. Thank you House Foods for sponsoring this post! There are plenty of tofu recipes out there but not all of them are equal. 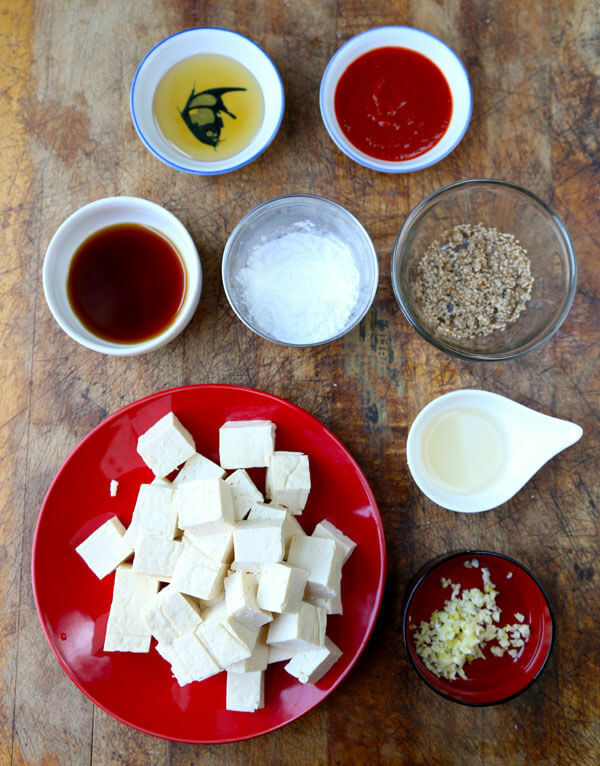 Tofu can be spectacular if you know how to prepare bean curd and cook it the right way. It can also be bland and terrible if it gets treated like an afterthought. Serving tofu plain is what you want to stay away from doing. Give it love and attention and it will reward you by becoming the center piece of your recipes. Take mapo tofu for example – it has everything a food lover could ever hope for. Texturally, it’s gooey, silky and easy to eat. On the flavor front it’s hot, savory, nutty, salty and jam-packed with umami. It’s one of those dishes that gets perfect score on everything. This is what to strive for when cooking with tofu. The preparation is as important as the seasoning and creation of the dish. This honey sriracha tofu hits all those points which is why it’s one of the most popular recipes on my blog! It only takes 15 minutes to make! I’ve added this meal to my speedy meal rotation. When I’m tired and can only handle cooking with a few ingredients, this is the recipe I make. It’s such a simple dish and yet it’s so packed with yumminess! It’s basically sweet and spicy tofu cubes that are dusted with cornstarch and pan fried until crispy. I use medium firm tofu for this recipe for specific reasons. The tofu needs to be firm enough to handle being tossed in cornstarch and soft enough to have a silky, almost melt in your mouth effect when bitten into it. The first step to this recipe is to remove the excess water from the tofu, which is a common step to follow when cooking with tofu. 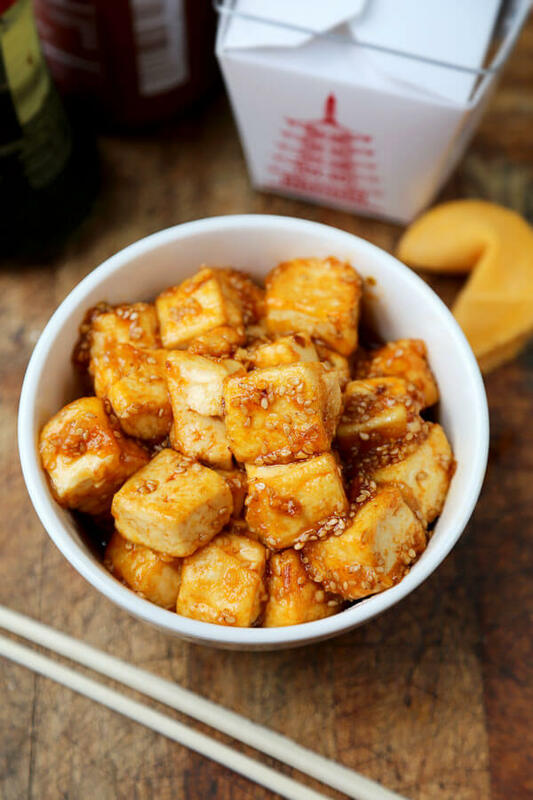 If you are adding tofu to stir fries, salads, bake it in the oven or serve it on its own with a drizzle of soy sauce, it will need to be pressed to remove excess water. Otherwise you end up with a puddle of water and diluted flavors. There are a couple of ways to remove excess water. You can wrap the tofu in a kitchen towel or paper towel and wring out the water. Repeat this step a few times until the tofu feels drier. This technique works fine with firm tofu but not so much with the silken type as it is too delicate and may even get stuck to the towel. What I prefer using is the Tofu Xpress because it’s easiest way to prepare tofu. All you need to do is put the tofu in the container and twist to start the pressing process. 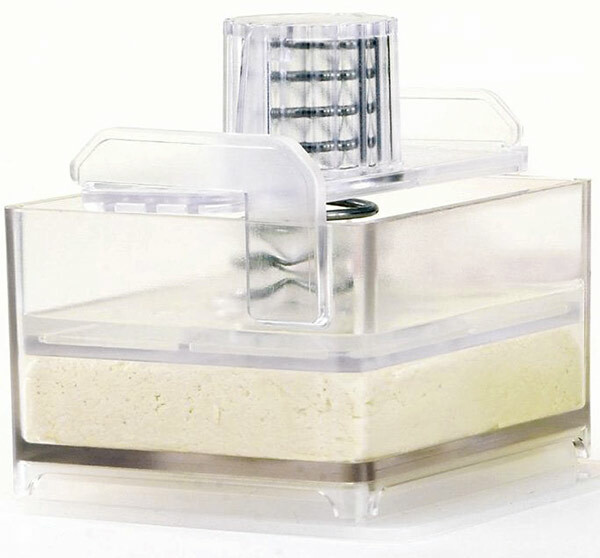 If you only need half a block of tofu for the recipe you are making, you can leave the other half in the tofu press since it can be used as a storage container. 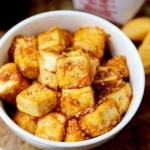 The Tofu Xpress can also be used to marinate tofu (I recommend slicing the tofu in cubes when marinating so you get more flavor infused per bite) or be used to pickle vegetables. I’m big on multi purpose products since they can be huge space savers for people with small kitchens like me! I cook with tofu on a weekly basis so this little gadget saves me time and keeps my kitchen clean! The best of both worlds crammed into one perfect bite! I’ve come a long way since the first time I cooked with tofu. The only way I used to eat it was chilled with a drizzle of soy sauce and topped with grated daikon. The dish actually has a name – hiyayakko – which is a traditional Japanese side dish served in the summertime. As I got better at cooking and improving my skills with the wok, I started substituting meat for tofu in stir fries. Then I got into marinating the cubes. The more I used tofu in my cooking and the more impressed I became with this ingredient. I added tofu to my smoothies to add creaminess, deep fried them into crispy strips to use as salad toppings and used the grill to impart a smoky element that mimicked lightly charred meat. 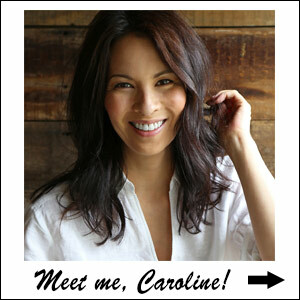 Nowadays I love cooking with tofu – it’s become such a fun adventure! Tofu is the perfect substitute for meat. It’s lower in calories and fat and very filling! Tofu also slows down the aging process! If you wonder why Japanese women never seem to age, check out these 5 Japanese beauty secrets. Following these tips along with adding super foods such as green tea and tofu to your diet can really improve your skin tone and texture. Tofu is packed with strong anti aging properties. It’s rich in isoflavones which help prevent collagen breakdown. Think of it this way: every bite of tofu you eat preserves skin-firming collagen and act as a glue that holds everything together. Beauty on a physical level starts from the inside so the more “beauty foods” you eat, the more radiant your skin will be! 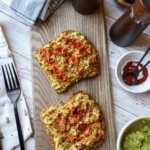 I thought using sriracha for this recipe would be a fun idea since it’s such a popular condiment – almost everyone I know puts it on everything these days! Pairing sriracha with honey seemed like a natural choice; balance heat and acidity with a little sweetness and ta da! You suddenly find yourself with a dish that encompasses many of South East Asia’s classic flavors that taste best together with a bowl of rice. 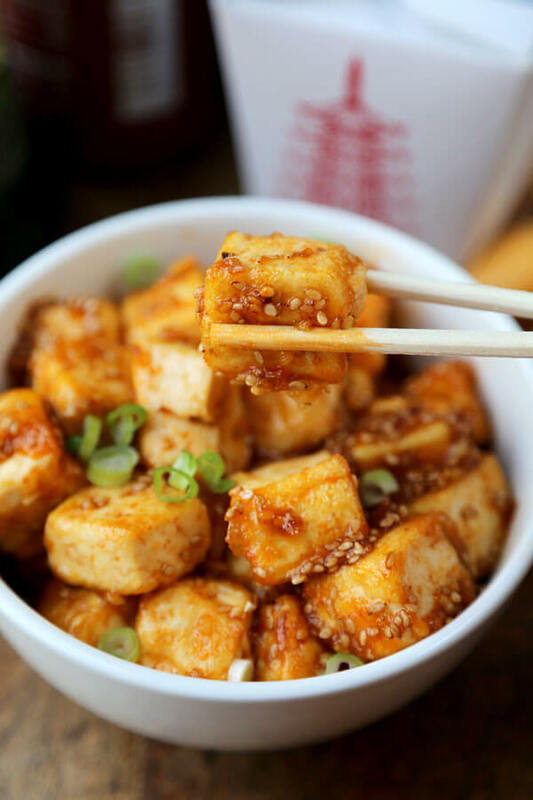 It’s easy to picture myself chowing down on something like this honey sriracha tofu in a food court somewhere in Singapore or Malaysia. I’ve been cooking with House Foods products for years because I like the texture and taste of their tofu. I’m using their medium firm tofu for this dish. One of the reasons why I have been a House Foods fan is the fact that all of their soy bean based products contain no GMO and are 100% U.S. grown. Knowing what is in my food and where it comes from is something I value dearly. I also like that they use rooftop solar electric panels in their California facility to reduce emissions. I’ll always be a supporter of companies who take responsibility for their impact on the environment. This honey sriracha tofu recipes is best served immediately. It’s still yummy the next day but the slight crispy texture will be soft by then. 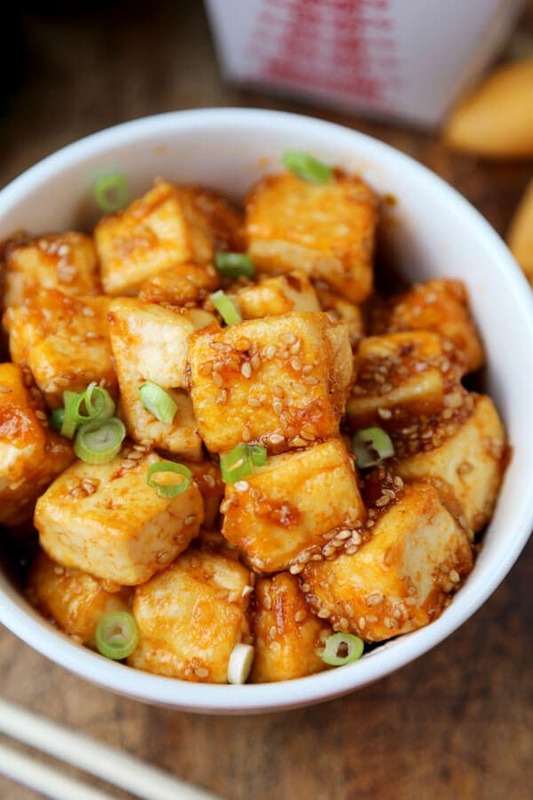 Did you like this Honey Sriracha Tofu Recipe? Are there changes you made that you would like to share? Share your tips and recommendations in the comments section below! 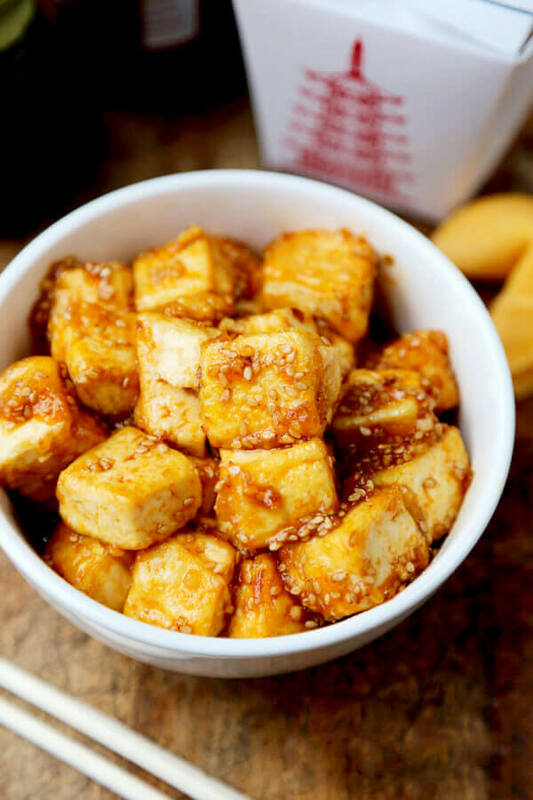 Hot and sweet, this House Foods Honey Sriracha Tofu recipe tastes like the best Asian take out! 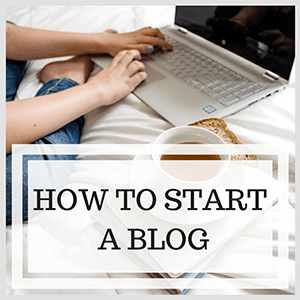 It’s also healthy and only takes 15 minutes to make from start to finish! Put tofu in Tofu Xpress for 1 hour or in the EZ Tofu Press for 15 minutes. Slice tofu into 1-inch cubes. Alternatively, you can drain the tofu and wrap in paper towel or tea towel to remove excess water. Repeat 3 to 4 times until the tofu is drier. Whisk garlic, sriracha, soy sauce, honey and rice vinegar in a bowl and set aside. Dust tofu with corn starch until all sides are coated. Use a medium large pan and turn the heat to high. Add oil and when the oil is hot, almost smoking, add tofu cubes. Be careful of oil spits! Fry on each side for 2-3 minutes without touching or tossing too much, until golden brown. Add sauce and gently coat tofu cubes. Cook for 3 minutes. Turn the heat off and add sesame oil and sesame seeds. Stir once more to evenly coat tofu cubes and serve topped with scallions. So I’ve been determined to find a recipe that makes tofu work, and I have finally found it! I used agave/maple syrup instead of honey and it certainly did the trick. I read many people complain about the heat of the dish and I agree that the entire amount of siracha is a lot but I took the advice of another commenter and added hoisin sauce in place of the entire amount of siracha. I also left it in slices instead of squares to make the cooking process easier. 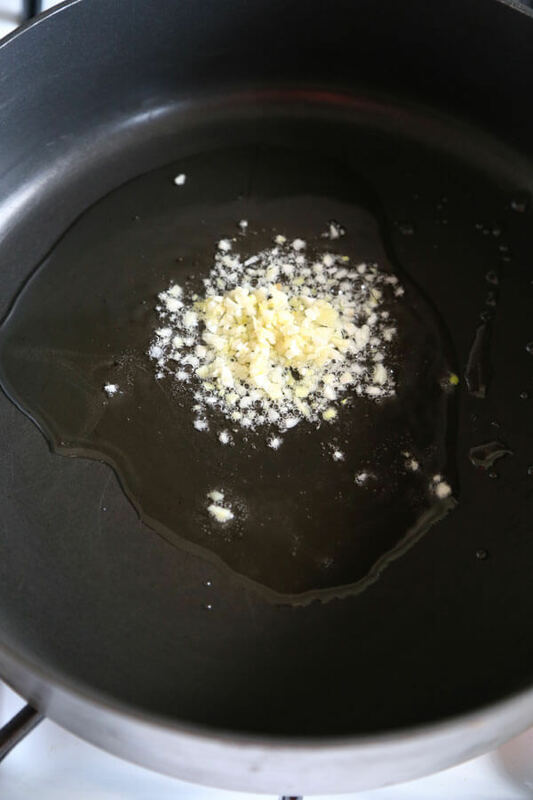 You should always be checking your sauce before incorporating it to make sure it tastes just right! Thank you sooo much for this gem of a find! Love this recipe! I’ve made this several times, substituting Sambal for Sriracha (because I love Sambal). My husband and I can’t get enough! Good by itself or with a dish. This was one of the best recipes, I made have ever. I love salad. when I eat food I need salad little bite.so please post salad recipes soon. I am eagerly waiting….. Very tasty and great to re-heat the next day. A tad on the spicy side however. Overall I would make again for sure with a little less sriracha. Thanks! Honestly…way better than I thought it would be, and I make lots of tofu!!! Healthy and everything is already in the cabinet. Big win! P.S. I doubled sauce and added broccoli. Thanks babe! I have made this so many times and never get tired of it. Probably my all time favorite recipe! I just made it for the first time today, but unfortunately I didn’t have all the ingredients, so I substituted sriracha for gochujang and rice vinegar for spiced rice vinegar. I ended up not cooking for 3 minutes after adding the sauce because the honey reacted to the heat of the pan (I hadn’t turned it down as I didn’t know I needed to) and I just barely avoided setting off the fire alarm, especially since I added the sesame oil too early and just added to the smoke, lol. Anyway, it ended up being really bloody spicy, but it’s soooo good. Drowned myself in milk afterwards, but good. Might just continue to use gochujang again the next time I make it, just… less. Thanks so much for this recipe it was a great guide for cooking tofu for the first time! I have made this recipe many times and never get tired of it. Thanks for a great dish! Thank you Kath, that’s wonderful!! MAde this with some really good quality tofu. I am not a vegetarian but just wanted to try a meat free meal and this was really good. A but spicy since the sauce is mostly sriracha so not great for kiddos but really tasty for adults. On the whole, this recipe is well worth a repeat. I need to practice my tofu cooking skills. When I added the sauce to the tofu pan, my pan was too hot and some of the sauce burned. Next time I’ll cook the tofu in a skillet and add to a pot with the sauce. I added broccoli and orange peppers. I would double the sauce, too. I subbed in a tablespoon of hoisin sauce for part of the sriracha sauce. Yummy! After having my gallbladder removed in September I’ve had hardly any red meat and don’t eat spicy food nearly as much. And I’m trying new things…like Tofu. Cooked Honey Siracha Tofu with it last night for the 1st time. Doubled the sauce like reviews suggested, cooked a little longer to make sure it was crispy. Served on brown rice. My 25yo son made chicken stir fry just in case him and my 14yo son didn’t like it. This stuff was so damn good. My 14yo thought it was chicken! Didn’t know until after dinner what it was. And the tofu was gone, but leftover stir fry. 25yo said to save the recipe…what??!! Spicy and flavorful..here is where I did half and half. If anyone wants the recipe ill post it. Way too spicy! My mom and I both like spice, but we agreed that this way uncomfortable to eat. For the two person recipe, I would suggest just starting with 1 tablespoon of sriracha. It has been my doctrine for a long time not to comment on cooking blogs, but times change. Ever since I saw this recipe on Reddit I just feel the urge to comment on it, because it’s good beyond words and I just have to encourage as many people as possible to try it out. It’s ridiculously well balanced, compliments to the author. I wouldn’t change a thing. There’s everything in there: sweetness, solid crunchiness, powerful spiciness — the combination is really tasty. I’ve made it 3 times in a very short time. The last time was yesterday for a number of guests and they were disappointed that I only managed to make 2 batches… Just WOW. Served with some sticky jasmine rice it takes you on a sensory journey to distant Eastern lands! 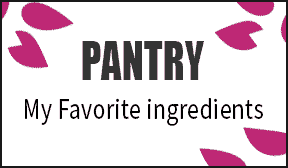 Besides, the ingredients are readily available. No need to search countless hours for that bottle of chili paste with a garlic hint from brand XYZ, you know what I mean. Seriously, what more can one wish for? It’s true that the recipe requires some technique though. As usual, you have to press the water out of the tofu really well. Believe me, this makes a huge difference and takes time so don’t rush it. 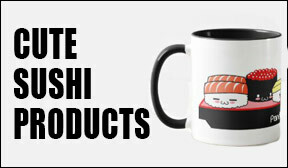 The last thing you want is the tofu to start leaking water in the frying pan; you’ll spend the rest of the day cleaning. I do it by slicing the tofu first, putting the slices flat on a plate, covering with some paper towels and then pushing down with a pile of heavy pans. So a layer of tofu, paper towels and pans. I change the paper towel and flip to tofu slices 2-3 times and pat the tofu dry after the last time. It’s ready for coating! 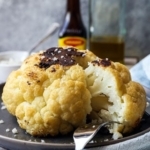 Coat them well (inspect visually) and make sure you begin frying immediately after coating, because the starch layer might stick to whatever utensil you have the tofu in and come off. Medium firm and firm tofu works quite well, but be gentle because it brittles easily. You’ll get the hang out of it eventually if you cook a lot of tofu. With really firm tofu you would lose the smooth texture and that ruins it for me. 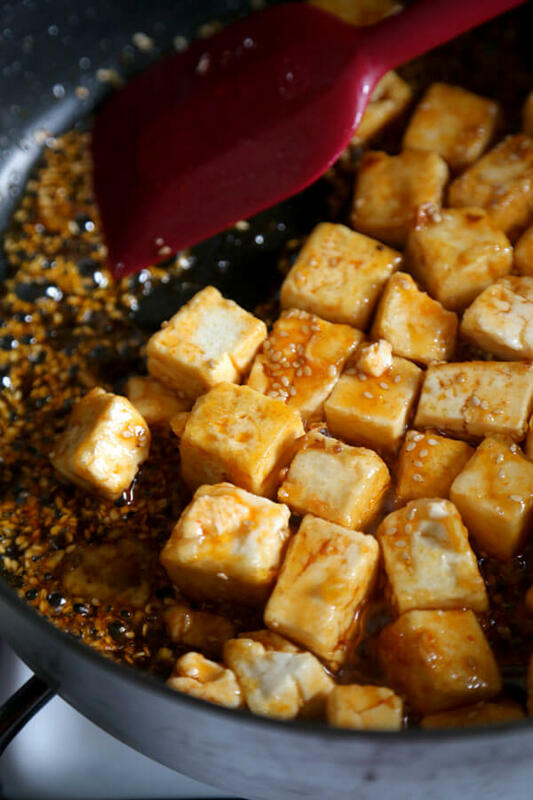 And now for my top tip: do use your faithful wok to coat your fried tofu with the Sriracha mix and the sesame oil / seeds, it’s so much easier than the frying pan; especially with moderately sized tofu slices it should be very easy to toss them around a couple of times to get even coating. 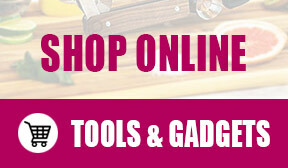 Buying a wok is a decisions which you are not going to regret. Made it, with some minor adjustments and came out great! The honey, vinegar and sriracha was a great combo. Full of flavor, very very tasty with complemtary notes of spicy and sweet. I agree with another commentator that there’s too much oil; I had to pour off half to get the tofu to brown quickly and get crispy without being oily. This recipe can be done in a flash and it’s delicious, healthy and filling all on its own. I love it! I had not idea about the beauty benefits of tofu. I’ve always liked it, but I think I will work it in more often. I try to fit a protein into every meal, but get tired of chicken, and beef is not good to eat every day. When I cook tofu, I typically use the extra firm because I always seem to have trouble with it getting mushy and falling apart. Do you have any recommendations for this? Thanks! You’re welcome Kristina! It must be good with ketchup since it would add sweetness to it, great idea! Just a FYI…. Trader Joe’s brand “Sriracha” sauce is MUCH less spicy than the original for anyone looking for a substitute. I would venture to say it has no heat, but I do enjoy spice foods so it may have a slight spice if someone is hyper sensitive. Might be a nice way to keep the flavor without the spice. Thank you Chelsea, that’s really good to know since I have quite a few readers who are sensitive to spicy foods! OMG I loved this recipe!!! I used extra firm tofu and didn’t use or potato starch and it was still super yummy! Steamed green beans and threw them in at the end- thanks for the awesome recipe. This is so delicious.I wanted to try it because I love anime and now I am watching about food.And I just try to make the Japanese FOOD WEEK.And this is awesome guys.U should try it put in ONGIRI.The food is wonderful and I give 6 star rating.TNX GUYS. Hi, I think the honey burnt on mine. This was my first time cooking with tofu. Was I supposed to leave it on high when I added the sauce? Hi Stephanie! Yes you are supposed to leave it medium-high but since every stove top is different, high for you may be higher than high for my stove top. I would lower the heat a little next time you make it, though it should still be high enough to fry the exterior of the tofu. Let me know if this helps, I would love an update! Yum yum yum o my tum, I tried Tofu for the first time with this recipe and its amazing, thanks for sharing, can I just add; its lame that honey is not vegan. I eat it anyways and i love bees. I had high hopes for this one, but unfortunately I was disappointed with the final result (or at least with mine)… There wasn’t much flavor other than the fact it was hot and the texture was just mushy. Maybe there was still too much moisture in the tofu for it to crisp… As for taste, I’ll just mess around with the ratios. Hopefully next time it’ll come out as expected. Gonna have to experiment (first time cooking with tofu!). Hi. Thank you for posting this recipe. I just made it at home and have to say it turned out awsome. It looks eye catching and taste very good. It was super easy to make and didn’t take long at all. Keep posting more recipes please. Thank you Jen and I’m happy you like the recipe! I made my own variation of this recipe using diced tempeh and zucchini in place of tofu, brown rice syrup in place of honey, and sambal olek in place of sriracha. It came out delicious. This recipe is a great starting point for experimentation. I will try it with sambal oelek next time, that’s a great idea. Thanks Dominic! This was amazing!! I never really liked tofu before and now I love it. I forgot to use corn starch though. I just added coconut oil to the pan with the garlic and let it get golden then added the sauce. Does the corn starch make that much of a difference? LOVED this dish! I shared it in my last post because it’s so good and easy to make. Can’t wait to try more of your recipes! what can i use to substitute for the rice vinegar? I hated tofu until I tried this. Amazingly flavourful. And pressing the tofu really helps soak up the flavours! Thank you for sharing such a delicious recipe! I did not have any sesame oil or seeds, so I just used a bit of peanut sauce instead and I really enjoyed it. Hi, after making these how long would they last in the fridge? the tofu is best eaten as soon as you are done cooking it. I wouldn’t recommend eating it the next day as the fried skin will most likely be soggy. If there any leftovers I have them for breakfast the next day and the tofu tastes just as good then. I have many tofu recipes but I keep coming back to this one – it is amazing! Hello. 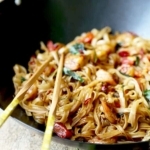 This recipe looks delicious but would like a less spicier version? Thanks! Made this for dinner this evening. Any tips for getting the corn starch to stick to the tofu? Mine was all at the bottom of pan – could not get the tofu to fry for a crisper texture. Help! Great flavor! Hi Carmela, was the oil really hot when you added the tofu? The tofu must also be well drained (as it gets watery really quickly) in order for the cornstarch to stick. Also, I would recommend moving the tofu cubes as little as possible and instead flip them only when they are golden brown. I hope this helps! Awesome! And I mean awesome! Added broccoli as another suggested, and it was delicious! Spicier the next day when re-heated too. Will definitely make this again! Hey, this looks great, but this isn’t vegan. Honey isn’t vegan because it comes from bees. Yay! So happy to hear that Angie, tofu can taste so good when made the right way! 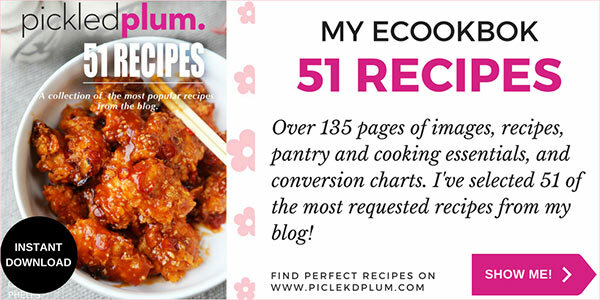 I’m going to start looking like a stalker… but seriously, since every recipe I’ve tried from this site has been fabulous, I’m kind of going back to this site every time I need a new recipe. I had tofu hanging around, and I’m terrible at cooking with it. It always just comes out spongy and flavorless. I’ve also had a hankering for all things spicy this last week or so, and this sounded really delicious. But holy spicy, Batman! This was one of those eat-slowly-lest-you-sweat-out-of-your-eyes kind of spicy. My husband would love it! Heck, I loved it, but I gave it four stars because I’m not sure how you would modify this if you want it to be less spicy. Half ketchup? Still, everything was spot-on for one of the most satisfying tofu dishes I’ve ever eaten. Draining the tofu was absolutely critical, as was giving it enough time to get golden when frying, which is something I didn’t really understand until trying this. The honey also helped the sauce really congeal into something sticky that actually stayed on the tofu. That’s something else I’ve never accomplished. I probably don’t need to buy takeout tofu ever again. Deanna, you are now my favorite stalker hehe! 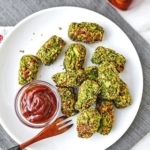 Substituting one tablespoon of sriracha for ketchup is definitely a good option, although the dish may come out tasting quite sweet (think sweet and sour shrimp sweetness, which isn’t a bad thing!). You can also try to substitute one tablespoon sriracha for chicken broth, this might tame down the spice level but still keep the flavors pretty even. You may need to sprinkle a little more corn starch to get the same consistency, just a teeny bit more. If you do make adjustments, please let me know and I will add your version to the recipe as an option for those who prefer less spicy. Thank you Deanna!